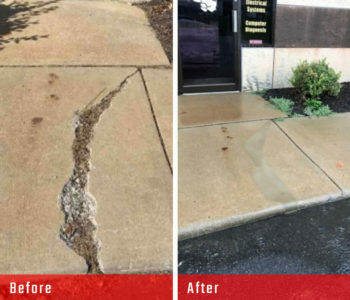 Turn to Commercial Concrete Solutions when your concrete needs to be repaired quickly with the strength to support and protect your most valuable assets. 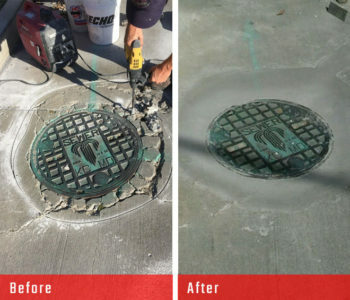 CCS was trusted to repair spalling around the manhole on the grounds of Casey’s General Store in Platte City, MO. The spalling issues were not only an eye sore, they were posing an issue to traffic coming in and out of the lot. Of course, the area sees a lot of customers come and go, so the repairs needed to be quick. 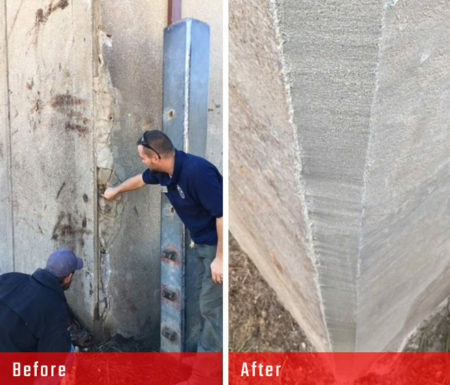 With Commercial Concrete Solutions’ technology, the repairs were completed and ready for customer traffic in just three hours. Spalls were turning parts of St. Luke’s East Hospital’s walkways and ADA ramps into hazard minefields. It’s inconvenient to so many patients and guests to cordon off the very areas designed to provide easy accessibility to the hospital. 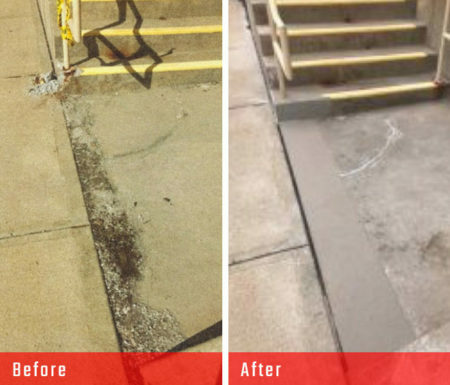 Instead of disrupting normal access for the days it would normally take to replace spalls, CCS repaired them across walkways and ramps in just one day. 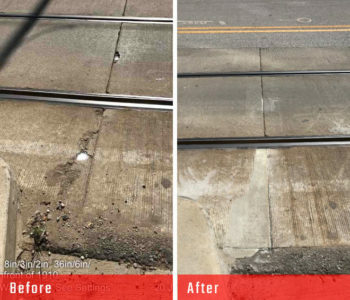 Thanks to the material and process we use, the concrete repairs were ready for foot and wheel traffic in just 15 minutes. 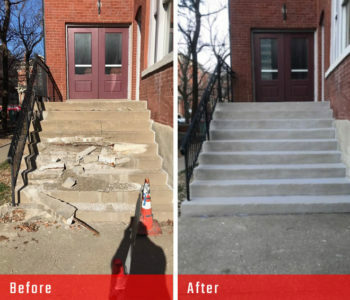 Not only was Block Real Estate Services dealing with unsightly concrete damage to a step corner at the handrail and walkway leading to the stairs, but also that damage could chip away at the handrail’s integrity. The longer it remained in disrepair, the more extensive and expensive the replacement would be. To avoid costly replacement and eliminate risk to the public, Block Real Estate Services called in CCS to repair instead of replace. 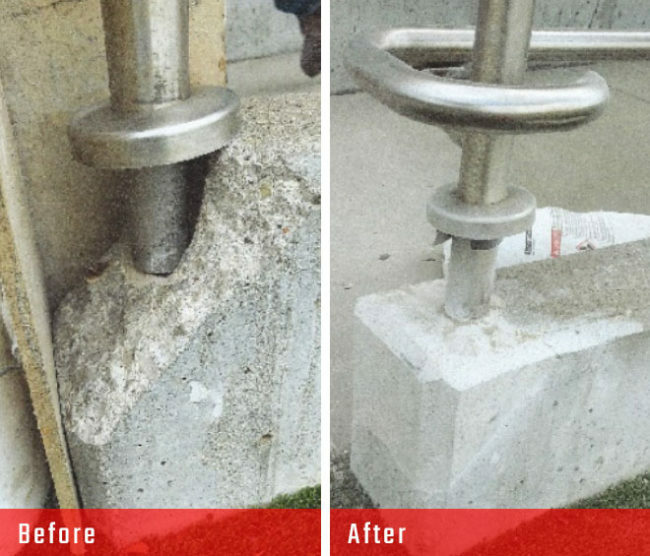 Our team repaired the spalls causing an eyesore and trip hazard in a matter of hours. Sulfuric acid is a dangerous chemical capable of corroding skin, paper, metal, and yes, even concrete. 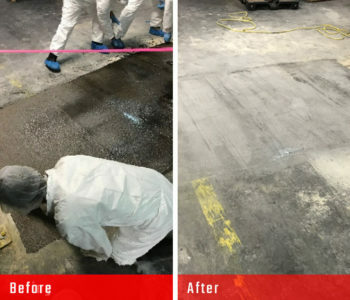 Exide Technologies’ flooring had become this colorless, oily, liquid chemical’s victim, causing cracks and spalls along the indoor tour route. 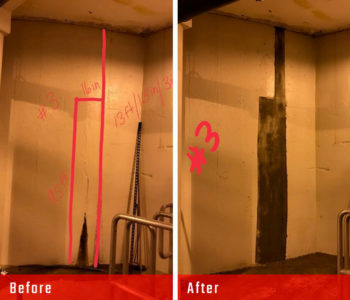 The solution was to repair the damage with an acid-resistant product. Easy enough, but downtime isn’t an option for Exide Technologies, a lead-acid battery manufacturer that supplies automotive and industrial industries. 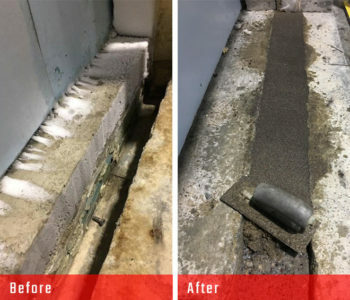 Rather than interrupting their manufacturing, the CCS team performed the repair during the plant’s scheduled shut down at the holidays. What wasn’t easy was Exide Technologies’ environmental conditions – acidic with temperatures approaching the 100-degree Fahrenheit mark. In a battle between forklift and bollard at Piston Automotive, the forklift won. In fact, it knocked over the bollard. 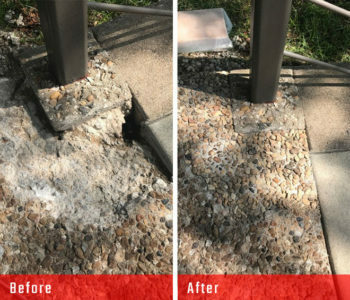 CCS was called in for a concrete foundation repair that would be strong enough to hold the bollard upright again and regain structural integrity. 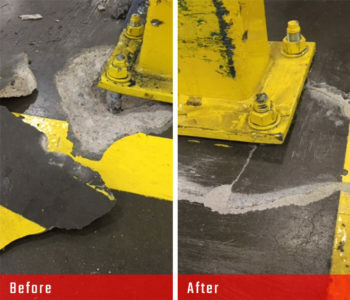 Nothing can slow down manufacturing and warehouse industry, and it’s difficult to repair forklift-related damage to concrete. CCS performed the repair in just 30 minutes, and it was ready for forklift traffic in just 15 minutes. The bollard is solid, ready to take on the next bump. Constant semi-truck and car traffic can wreak havoc on any truck stop’s concrete parking lot and keeping it in good repair and safe condition can be a never-ending battle for owners. Rather than settle for short-term repair, TempStop went with CCS. 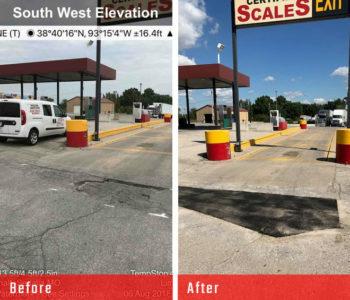 We repaired the spalls and potholes in the parking area that were creating rough driving surfaces and trip hazards for customers and their rigs and cars. 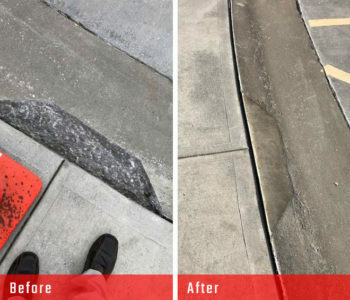 Since truck stops/convenience stores thrive on traffic, we were careful not to interrupt the flow of traffic and vehicles were able to drive on the surface as soon as repairs were complete thanks to our revolutionary concrete repair product. CCS repaired approximately 45 stamped concrete bricks that had broken up under the weight of vehicle and busy foot traffic in front of the casino’s entrance. 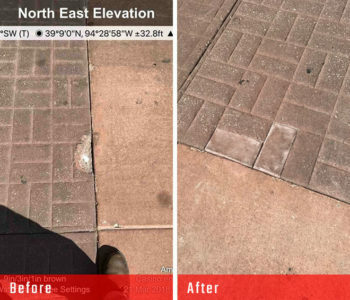 Not only were we careful to stamp and color the concrete repair material to blend with the existing surface, but also we started at the crack of dawn to finish the project in about 14 hours despite cutting out each individual brick. To keep valets moving cars without interruption and inconvenience to guests, we reduced our work area to one lane at a time.